Provide comfort for the family of Denice Cunningham with a meaningful gesture of sympathy. It is with great sadness that we announce the passing of Denice Udell Cunningham, late of Yellow Creek, SK, and Crystal Springs, SK, on March 26, 2019 at the age of 69 years. Denice was born on April 16, 1949 in Melfort, SK, to parents: Vernon and Willa May (nee Arlent) Cunningham. No service will be held for Denice as requested by the family. 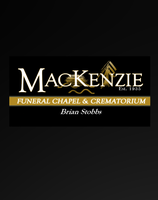 Arrangements in care of MacKenzie Chapel & Crematorium Brian and Bev Stobbs, Renée Phaneuf - Funeral Directors. www.MacKenzieChapel.ca 306.763.8488. To send flowers in memory of Denice Udell Cunningham, please visit our Heartfelt Sympathies Store. We encourage you to share your most beloved memories of Denice here, so that the family and other loved ones can always see it. You can upload cherished photographs, or share your favorite stories, and can even comment on those shared by others.